I like to think about translation like access to fresh water. Not so long ago — and still in many parts of the world — getting water was hard. You’d get up first thing in the morning, get a bucket, walk (sometimes for miles) and then come back and do it again. But then it became easier thanks to technology. Translation is still very much in the “bucket” phase. Every time a company wants to communicate in a different language, they need a bucket to go get some translation. Usually that means copying and pasting the part of their organisation that interfaces with a different country or culture on a native-speaker basis. Growing and operating a global business in this way is slow, expensive and complex. Easy, you might say. Use a service like Google Translate. 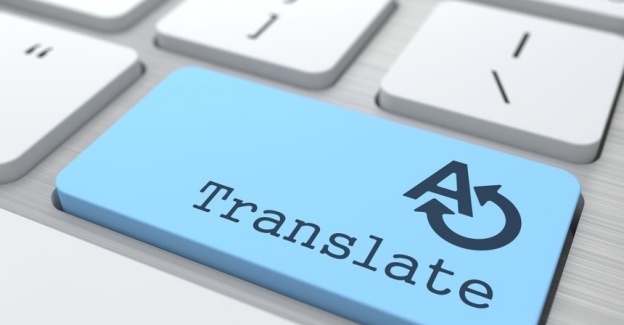 However, there are still severe limitations with the AI behind easily available machine translation (MT) tools. We are several fundamental breakthroughs away from a world in which machines threaten to replace our role as humans. The translation challenge is probably one of the best examples of man working with machines to solve a problem in the optimal fashion. There have been many amazing developments in recent years for MT and according to reports that occasionally emerge in the media, the issue of global translation has been solved. Unfortunately, this is really not the case. What’s missing to solve translation? The first is improvement at the algorithmic level: not just working in MT but also quality estimation, which automatically detects whether a machine translation is good enough. And "feeding" the algorithm plenty of training data to ensure it improves as it goes on. The other is huge amounts of training data. Services like Unbabel work with tens of thousands of linguists around the world. When these services detect that machine translations need further improvement, linguists are asked to post-edit until the results are not only correct but sound fluent and "human." There are two billion people in the world who speak more than one language and have an internet connection. Bringing their expertise into the training process for MT creates a virtuous loop: the machine becomes a better communicator and the humans subsequently do as well. This Translation-as-a-Service offering means that the translation space can start to move from buckets to taps and deliver language solutions for global, customer-centric companies. Embedded in every application and enabling always-on, seamless and trustworthy multilingual communication. For established, forward-looking businesses or emerging fast-growth organisations, and anyone in between, Translation-as-a-Service is here to change the way business is conducted and permanently remove the language barrier from global communications. Dr. Vasco Pedro is the co-founder and CEO of Unbabel. Founded in Portugal in 2013, Unbabel eliminates language barriers between companies and their customers by combining bespoke Neural Machine Translation, advanced automated quality estimation, and a global human network of ‘Unbabelers’, In 2016 Vasco won the Startup Founder of Year award by Startup Portugal, and currently serves on the Financial Board of Beta-i, a startup accelerator. He splits his time between Unbabel’s European and San Francisco offices.